Enterprise is the First Personal Training Studio to Become Quality Accredited! We did it! 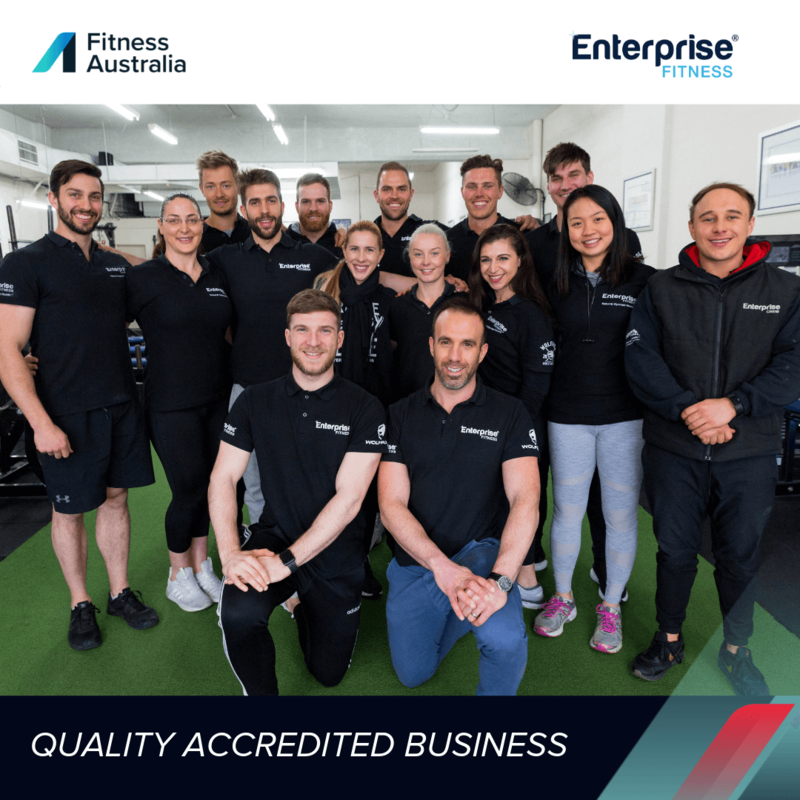 At Enterprise Fitness, we pride ourselves on leading by example, and that is exactly what we have done by becoming the first personal training studio to achieve Quality Accreditation from Fitness Australia. Read the full press release from Fitness Australia here. New Years Resolutions – How to make the most of them! Boxing Champion Harry Garside Wins Again!